The Google India office is seeing unprecedented action these days as it ups the ante in the country, including making an aggressive play for the next wave of internet users hailing from the tier II cities and beyond. The buzz is that it is bringing back former employees and relocating existing ones to put together a strong leadership team. According to The Economic Times, this is perhaps the first time in the company's 15-year journey in India that it has made so many key appointments in senior leadership roles. To begin with, Sajith Sivanandan, former managing director of Google for Malaysia, Vietnam, the Philippines and new emerging markets, has relocated to Bengaluru as the head of payments and access service in India. Similarly, Pankaj Gupta, the founder-CEO of Halli Labs - a Bengaluru-based artificial intelligence startup that the company acquired in July last year - has been appointed as director of engineering, Next Billion Users, Google India. Then, Ambarish Kenghe, the co-founder and former product management lead for Google's Chromecast based at the company's headquarters in Mountain View, California, who moved on to Myntra as chief product officer in 2015, has been wooed back. Kenghe will now be leading product development for the payment app Google Pay (previously Tez). The internet giant is also casting its net wider to attract talent. For instance, Munish Seth, Facebook's former regional head-APAC (Asia Pacific) for connectivity solutions, has joined Google as the new country director for Android. This underlines Google's growing focus on the Google Play ecosystem in India. Seth, who had also spearheaded Facebook's Express WiFi programme to digitally connect villages in India, is now responsible for driving partnerships with handset makers and original equipment makers (OEMs) in the country. Interestingly, while Google India is busy beefing up its top management, the other Silicon Valley behemoth Facebook has been missing a top boss since last October. Its subsidiary WhatsApp has also drawn flak from the government for lacking a local set-up in India. Google's focus on personnel comes at a time when it is betting big on the growth of India's digital payments ecosystem. "One instance of that is the leadership team we are putting in place in India. 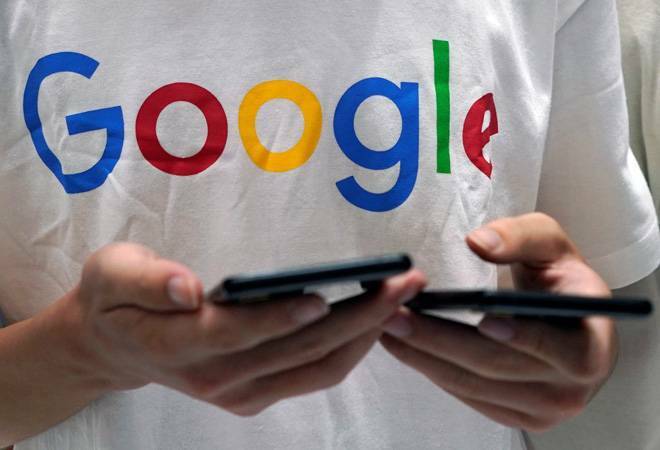 A team that has a wealth of experience and deep understanding of India and the next billion users," Caesar Sengupta, Google's general manager of payments and vice-president for Next Billion Users, told the daily. At the same time, the company is focussing aggressively on building new products and features specifically for India. After all, despite the digital divide, India boasts the second highest active internet user base with 1 out of 3 people online. Take Project Navlekha, one of the many new features announced at the company's fourth edition of 'Google for India' event last month. Google is working with the 100,000+ offline Indian language publishers on this project, which allows them to easily start their website and publish on a branded domain with a few simple clicks. The effort is to make more vernacular content available online. In addition, the company has introduced Marathi language besides English and Hindi on Google Assistant to make it more relevant to Indians. It also plans to introduce seven more Indian languages soon. The Assistant will now automatically understand when you talk in different languages, so you can switch between Hindi and English seamlessly. "The three big things that capture the behaviour of this new Internet in India are voice, video and vernacular," Rajan Anandan, vice-president (South-East Asia and India), Google, had said in his keynote address at the flagship event. According to him, voice is emerging as the preferred model of input for new Internet users in India and they have seen 270% year-on-year growth in voice searches. "Vernacular, or majority of Internet users today are Indian language users. And this number is expected to reach 500 million over the next two years," Anandan had added. Furthermore, a recent study that Google released along with Bain & Company and Omidyar Network estimated 370 million non-internet users across India's affluent socioeconomic strata and 620 million across the mostly-untapped lower income segments. And Google wants to be ready to tap that massive opportunity.